The Four Points by Sheraton Tallahassee Downtown announces the Top Three winners of its “Tallahassee Sustainability” art contest today. Bo Schmitz, General Manager, and Cheryl Hatcher, Director of Sales, presented the First Place award to Amber Hiler and her piece titled, “Education Cultivation Sustains Community Growth (FAMU); Second Place was awarded to Peter Koenig and his piece titled, “Temptation of Nature”(FSU); and Third Place went to Cory Williams for his work titled, “Mind Funk” (FAMU). 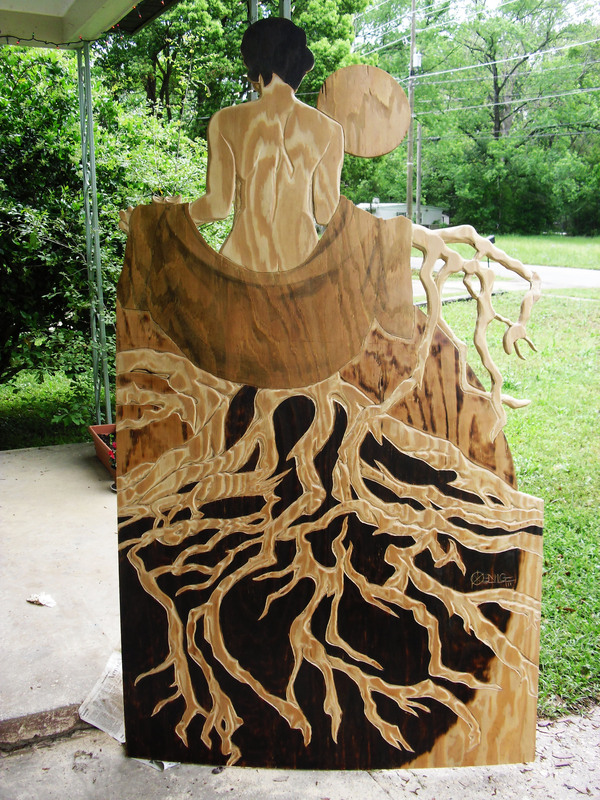 Ten local university students were issued a 4’ x 8’ sheet of plywood to use as their canvas. The entries were judged by 5 local dignitaries, including the Honorable Mayor John Marks on Tuesday, May 10th. Later that day, the entries were posted at the hotel’s front entrance for public viewing. In addition, photos were placed on the hotel’s Facebook page for additional voting as the sixth judge in the final results. Upon announcing the winners, the top three entries will receive the following prize money: 1st Place – $2,500, 2nd Place – $1,000, and 3rd Place – $500. Eighty percent of the prize money will be contributed to the University Department of the winning students. Twenty percent will be awarded directly to the winning students.